This entry was posted in and tagged Black Panther, Ludwig Goransson, Oscar music 2018, Ryan Coogler, SoundWorks Collection on February 15, 2019 by Jon Burlingame. This entry was posted in and tagged Black Panther, Black Panther music, Golden Globes, Ludwig Goransson, Regal Cinemas, Ryan Coogler, Sounwave on December 6, 2018 by Jon Burlingame. 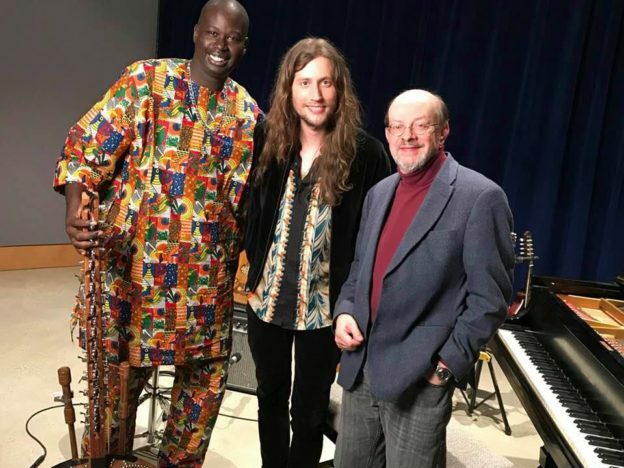 This was one of my most fun Variety assignments of the year: Interviewing Swedish composer Ludwig Goransson about his music for Marvel’s Black Panther. 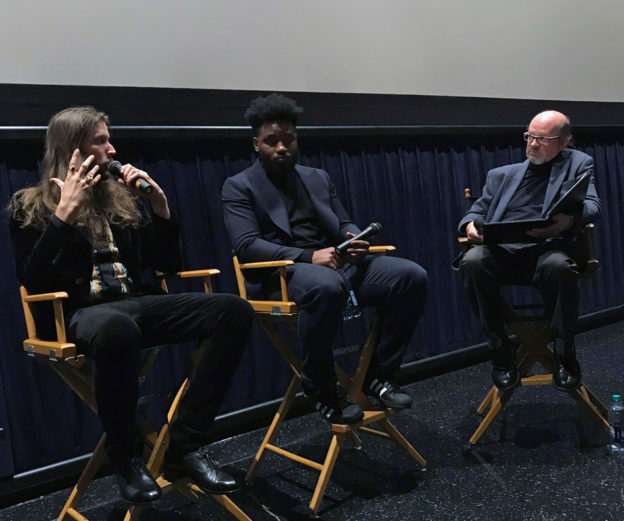 I’ve known Ludwig since his USC days, which is where he met director Ryan Coogler; this was their third film together (after Fruitvale Station and Creed) and his most ambitious score yet. He spent a month in Africa researching, listening to and recording all kinds of musicians, giving the film an authentic and evocative African sound (coupled, of course, with a massive London orchestra and choir for that “cinematic” finish). 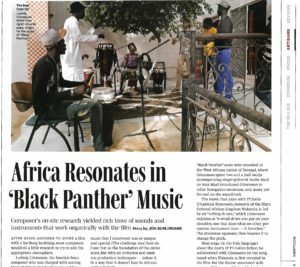 The piece is illustrated with photos of Ludwig in Senegal; director Coogler chimes in with comments about the importance of music in the film. 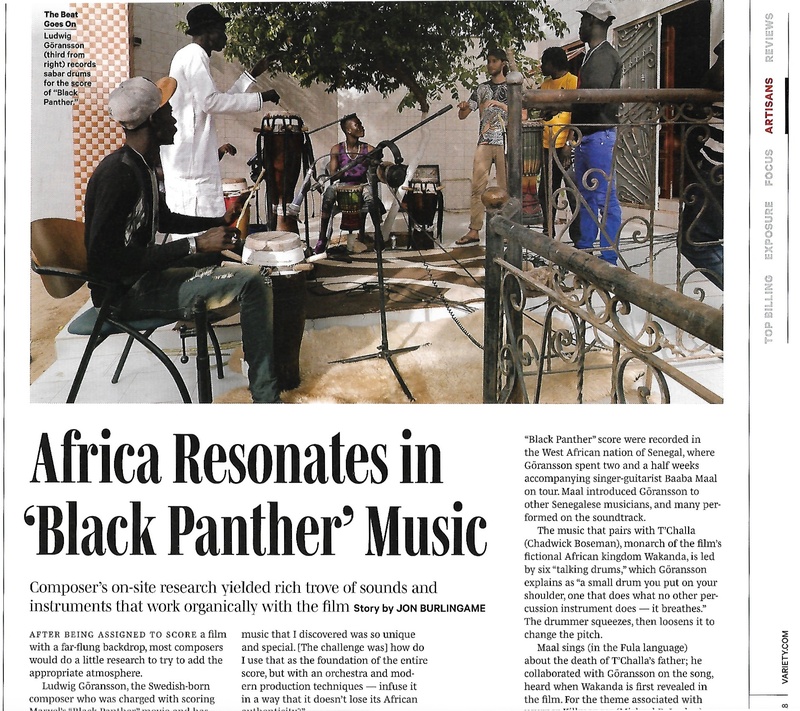 This entry was posted in Composers, Film Music, Interviews and tagged African music in Black Panther, Black Panther, Ludwig Goransson, Ryan Coogler, Variety on February 13, 2018 by Jon Burlingame.